Why This Scream Queen Wants You To Get Out & Vote - RESPECT MY VOTE! Keke Palmer was overjoyed at the chance to vote for the first time in 2012. But Palmer, now 22, says she’s since realized that the excitement she felt in some ways overshadowed the bigger picture of voting in America. According to U.S. Census Bureau information, 71% of citizens are registered to vote, but only 61% of citizens actually cast a ballot in the last presidential election. When it comes to midterm elections, the numbers are lower. Only 41.9% of American citizens turned out in 2014. Changing that is something Palmer is passionate about. 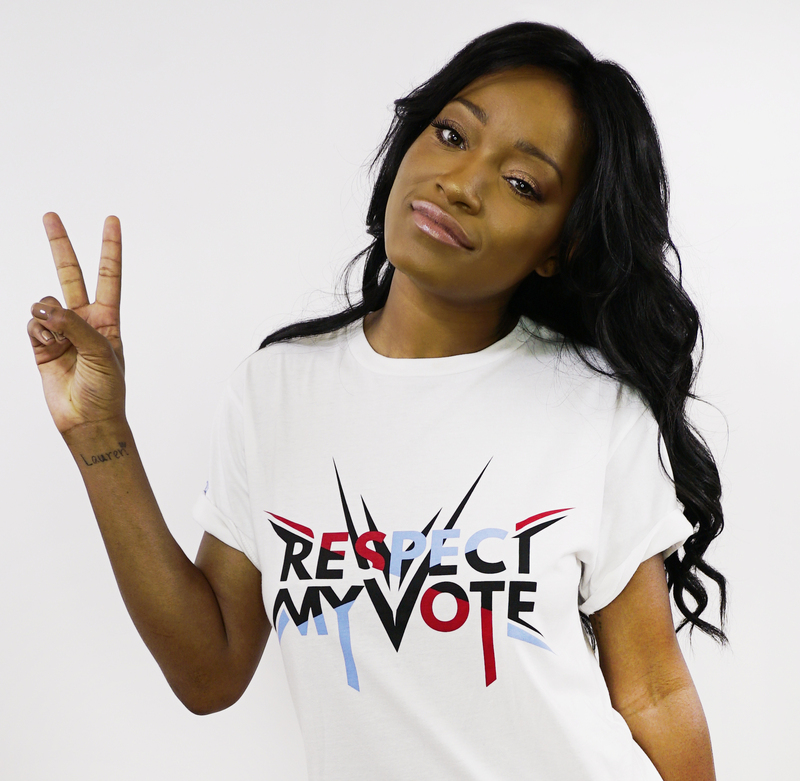 She’s the newest celebrity spokesperson for the Respect My Vote campaign, a non-partisan effort organized by Hip Hop Caucus to make voting more accessible and culturally established. The group primarily works with minority communities, people with criminal records, and students. Palmer told Refinery29 that she became involved with the campaign because she wants more young people to be a part of the political process. The campaign is a good fit for Palmer, who says that education and inequality are two of the biggest issues for her in this election. Palmer credits her mom with sparking her interest in voting during a conversation about what it takes for ideas to become law. That’s when she realized that voting didn’t mean just turning out for the top of the ticket. Palmer wants others to know that their voice matters — and that they should go to the polls to make sure they’re heard.